Combine the cucmbers and salt in a large bowl, cover and chill 1 1/2 hours. Drain and rinse cucumbers under cold water. Drain cucumbers again and return to the large bowl. Add sliced onion. Combine the sugar and remaining ingredients in a medium saucepan over medium heat. Stir until all of the sugar is dissovled. Pour hot vinegar mixture over cucumber mixture. Let stand at room temperature for 1 hour. Cover and refrigerate 24 hours. Store in an airtight container, in refrigerator, up to 2 weeks. Note: Adapted from a recipe in Cooking Light, August 2008. 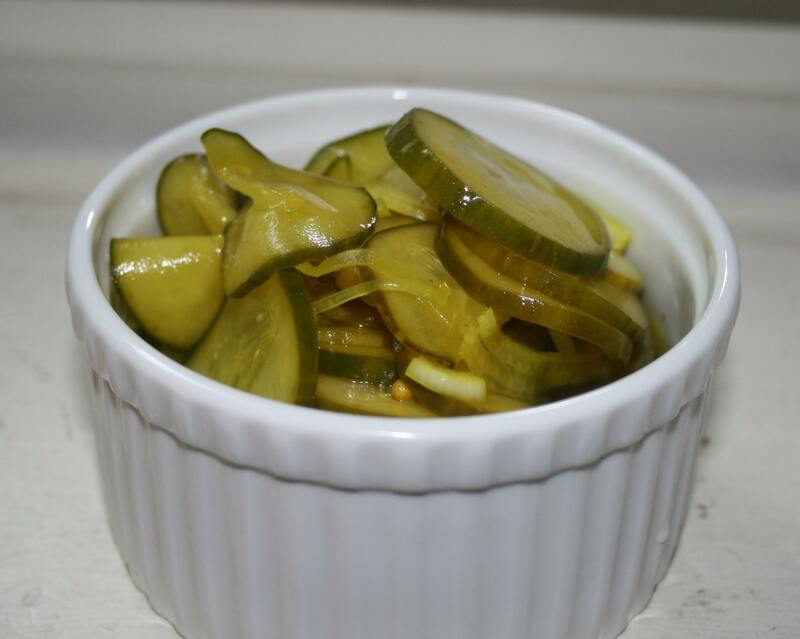 If you like your pickles sweet, increase the white sugar to 1 cup and brown sugar to 1/2 cup packed.